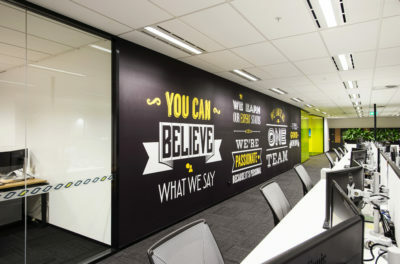 Empired (ASX: EPD) operate Australia wide, delivering technology solutions to a variety of industries. Empired specialise in cloud services, content management, resource planning and customer relationship management technologies. Around the time of appointment, Empired consolidated and relocated 4 buildings into the Quadrant, which included the integration of multiple companies under the one Empired brand. 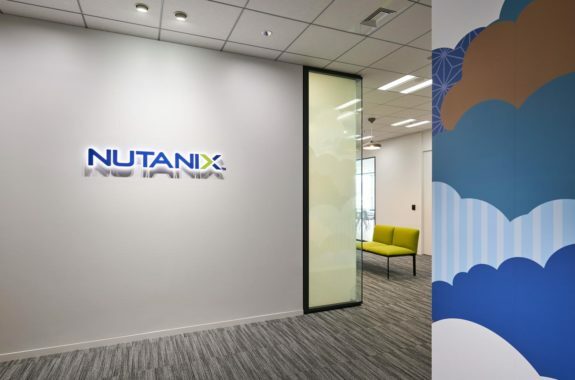 The consolidation of the companies prompted the design to take a clear community direction for the new space to ensure the new companies felt satisfied under the new direction of Empired. 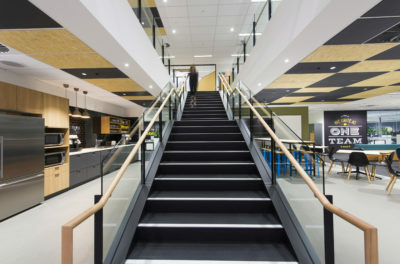 In order to make this work, an internal staircase was built to emphasised the connection of the two floors, and staff hubs were created around the stairs to ensure fluid movement of staff between the floors. 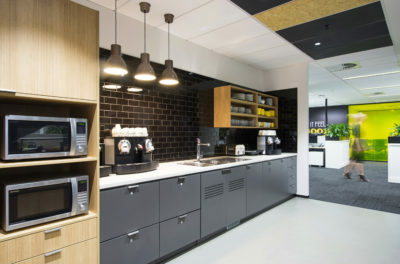 Facilitate also designed a mix of workstation environments, with 5% of the floor being sit to stand desks, and the built environment was positioned away from the perimeter to maximise natural light penetration. 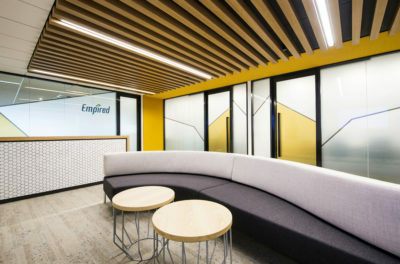 Being a listed company, Facilitate also created a client interface area, which highlighted Empired’s technology position in the market and a computer room that had a glass frontage as you bypass to walk the boardroom. The boardroom had an array of display areas to showcase Empired’s technologies to investors and clients. The timeframe was was 8 weeks for design, and 12 weeks onsite for construction. The project was delivered on time and on budget. Facilitate received extremely positive feedback that the new space increased the employee culture and employee satisfaction that was measured through the annual NPS score. Thank you very much for running such an organised and impressive design and project management service to Empired. 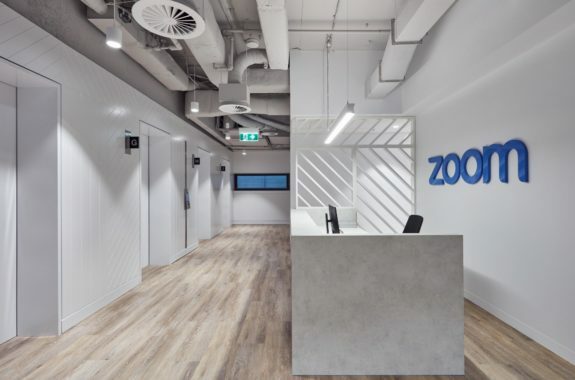 We could not have wished for a smoother process, particularly with the multitude of requests we gave you and complexity of the project with our four Perth offices, previously different companies, moving into one space at the Quadrant, Level 6 & 7, 1 William Street. Your patience, vision and quality of service was phenomenal and this will not be forgotten if we ever require a similar service in the future. Our staff are extremely happy with the end product and were appreciative of the lack of disruptance to their work. Your continual support in ensuring that our new office is an enjoyable work space is much appreciated. Our staff morale has improved and the layout of the office has ensured that our staff communicate and build great relationships with each other which in-turn supports our business goals. Your openness, honesty and great work ethic, which went beyond any expectations we had, produced great memories of working with Facilitate Corporation and Empired recommend you to any business who is looking for a design and project management service.